Bone crusher machine is best known for its durability and reliable performance for crushing various kinds of animal bones. The bone powder machine is made from the super quality alloy steel which is processed by special heating process, ensuring a durable and heavy load design. 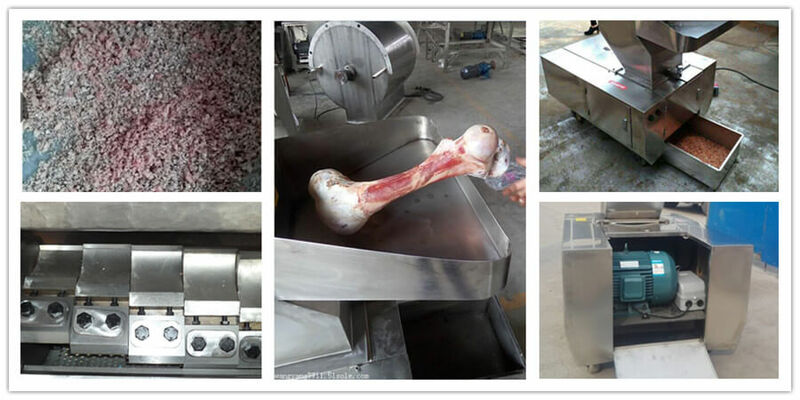 The output of our animal bone crusher is always the finest of bone powder each time. Easy operation and high efficiency is always a point of focus attracting customers. 1. 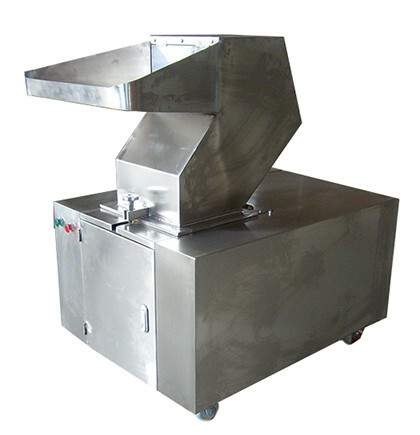 The bone pulverizer is most suitable for crushing bone of 5-80 mm, the output particle size is of 3-5 mm. 2. 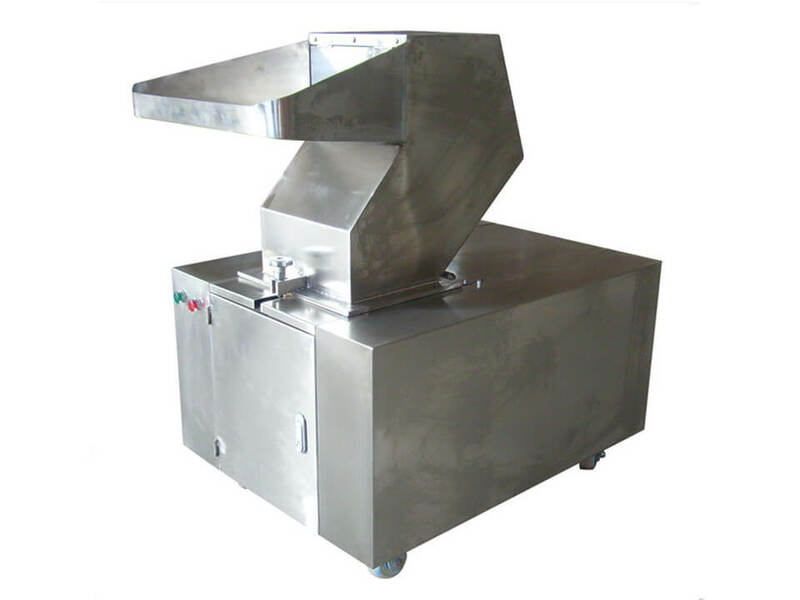 This animal bone crusher is specially designed for grinding fresh/dry animal bones such as beef bone, pork bone, sheep bone, donkey bone, fish bone, chicken, etc. 3. 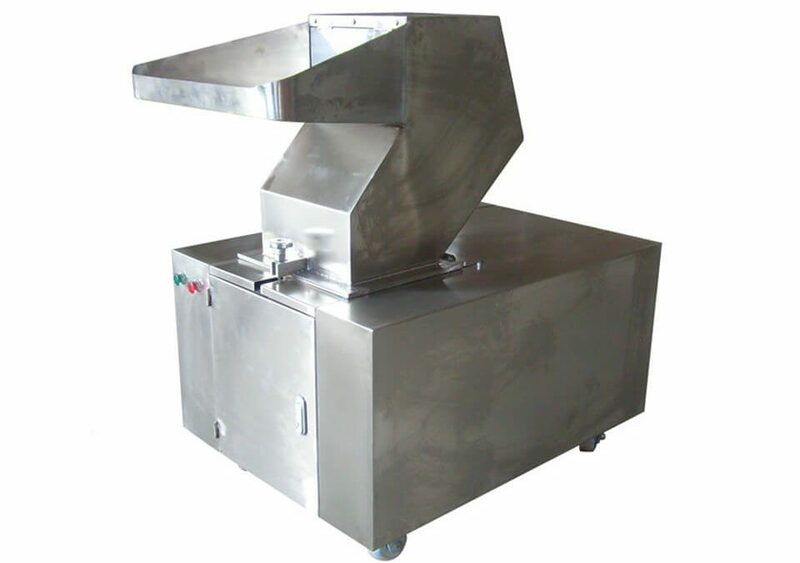 The ground bone particle can be further processed by bone grinder machine which makes the particle size into the bone paste. 4. 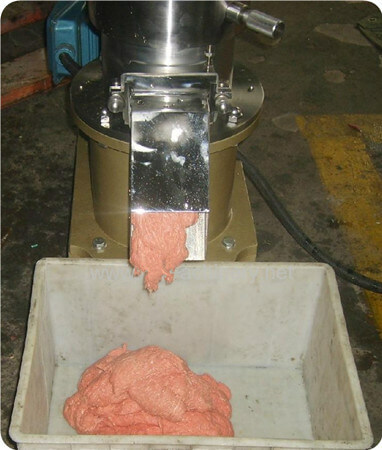 Wide application in the following industry Food industry: sausage, luncheon meat, meatball, compound seasonings, bone powder, bone soup, puffing snacks, food ingredients and other frozen fast food; Pet food industry and Bio-pharmacy industry. ☆ Optimal structure design of cutting blade has improved single blade shearing force and impacting resistance. ☆ The cutting blades are made of superiority alloy steel, durable and wear-resistant. 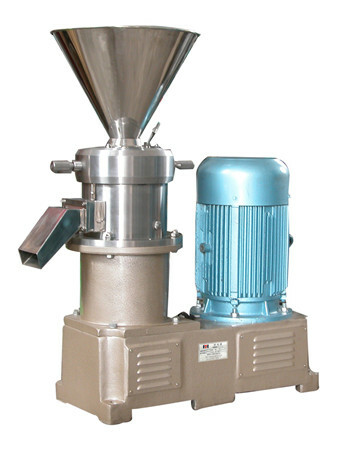 ☆ The electric motor is equipped with an overload protective device which can ensure safe operation.☆ The feeding hopper is made of stainless steel material, noise insulation. ☆ Can be used with a conveyor to reduce labor intensity, realizing automatic in and out of the material. ☆ Compact structure and reliable performance. ☆ Adjustable particle size and high efficiency. 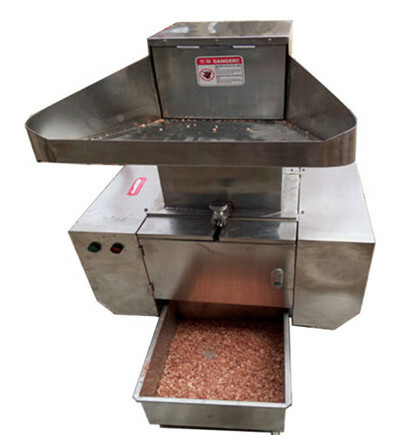 After the bone processed by bone crusher machine, the bone particle size is about 3-5 mm, for further processing to get a fine bone paste, a bone grinder machine is necessary. The grinding head can be changed according to the material hardness.